For a long time, researchers were only able to examine human cells infected with bacteria by using cancer cell lines. However, these transformed cells often give a false impression of the infection process. 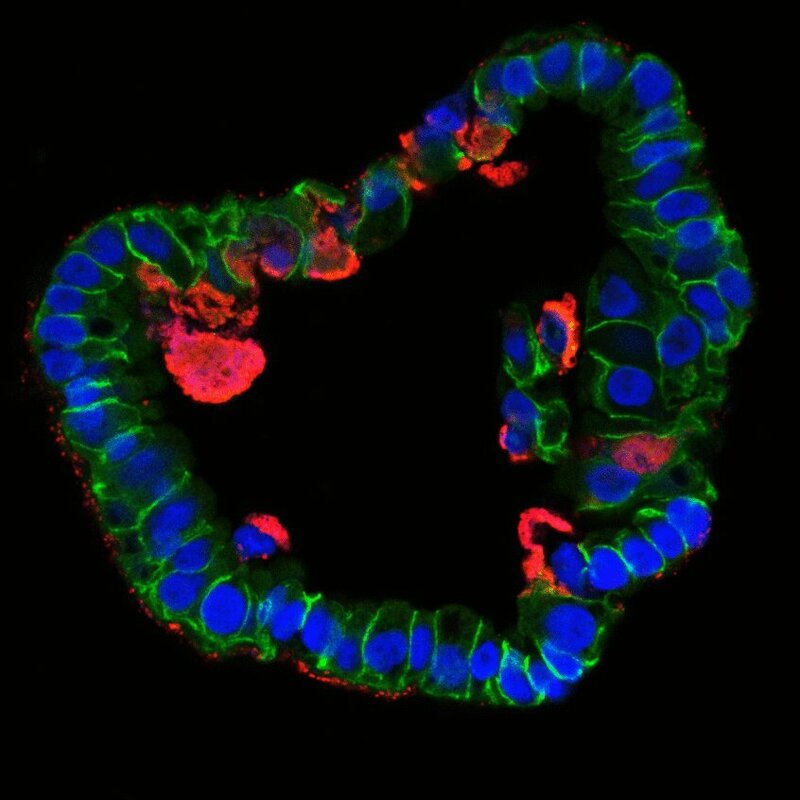 Fallopian tube organoids from normal human fallopian tube cells, on the other hand, reflect the natural structure of the tissue. Scientists from the Max Planck Institute for Infection Biology in Berlin have now investigated fallopian tube cells chronically infected with Chlamydia for many months. The results show that the cells react to the bacterial infection with increased production of LIF – an inflammatory messenger associated with ectopic pregnancies. In addition, the bacteria cause persistent epigenetic changes to the DNA. Meyer's research group has selected the widespread pathogen Chlamydia trachomatis for their study, which often does not cause any symptoms when sexually transmitted and therefore goes unnoticed. This favours the development of chronic infections, which in women sometimes ascend into the fallopian tubes and are associated with infertility, ectopic pregnancy and ovarian cancer. Because Chlamydia infections are extremely common – more than 100 million new infections per year are estimated worldwide – such serious consequences are a cause for concern. Although the development of organoids is time-consuming and costly, their use has led to a quantum leap in our understanding of Chlamydia infections," says Thomas Meyer, Director at the Max Planck Institute for Infection Biology.